There may be instances when your institution will require the importing of assessment scores gathered outside of Chalk & Wire or legacy assessment data generated prior to acquiring Chalk & Wire as your assessment system. This workflow will walk you through how to prepare the assessment data using the offline assessment form for importing into Chalk & Wire as well as the import process. 3. 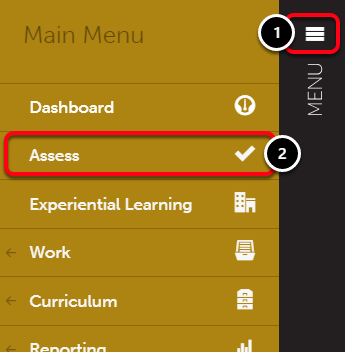 On the Assessment screen, click the Tools icon. 4. 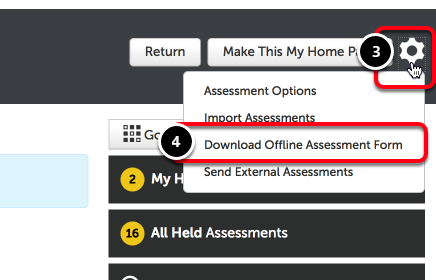 Select Download Offline Assessment Form. 5. 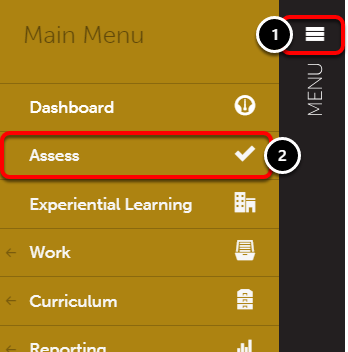 Select the Assessment Instrument that you will be using to assess. 6. 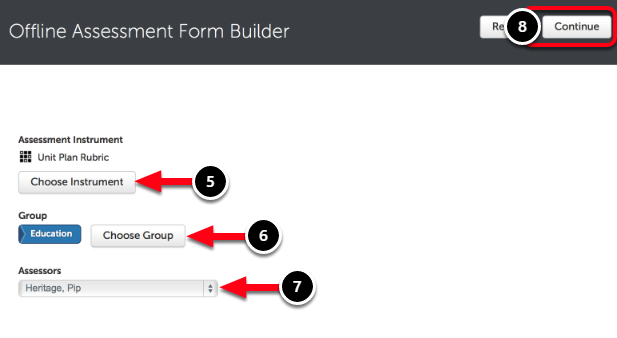 Select the Group which contains the users that you will be assessing. 7. Select the Assessor who will be completing the Assessment. 9. Click the Click Here to Download link in the green bar. Locate and open the Microsoft Excel file on your computer. Instructions regarding how to use the offline assessment form will be located on the form. 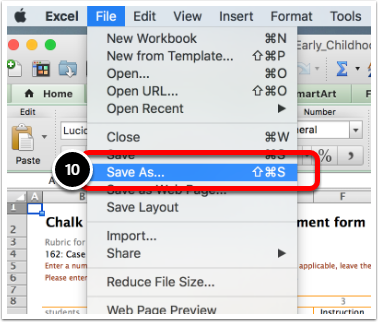 In order to import the Offline Assessment Form to Chalk & Wire, you must first save it as a Tab Delimited Text file. 10. Click on the File menu and select Save As. 5. Click on the Import Offline Assessment Form button. 6. Optionally select whether or not you would like to Hold the Results. 7. 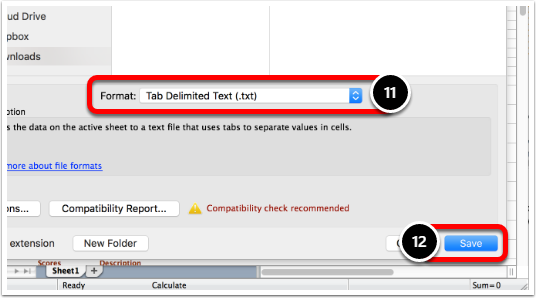 Click on the Choose File button to select the .txt file. 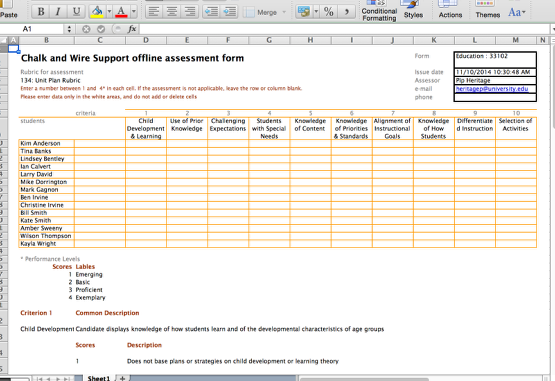 A message will appear in green to indicate that the assessments have been imported. If you would like to view the assessment info in Chalk & Wire, click on the Click here to view... link.